516 ARTS and partners produced Digital Latin America, an outgrowth of the Latin American Forum for the award-winning International Symposium on Electronic Arts (ISEA2012) produced by 516 ARTS in 2012. It explored the North/South axis of cultural development and exchange between South America, Central America and the United States. Presenting partners are the UNM Art Museum, the Albuquerque Museum of Art & History and the National Hispanic Cultural Center. Digital Latin America looked at the ways in which artists negotiate the complex terrain between global and local, virtual and real, and political and private, in the creation of work that proposes alternative understandings of technology, art and cultural exchange. Connecting individuals, cultures, traditions and social histories to a rapidly expanding global network remains not only a pressing challenge, but a profound opportunity and necessity. The utopian notion of closing the “digital divide” represents a paradigm shift that encourages the participation of all communities and cultures to express themselves through contemporary methods and continue a progressive existence in today’s technology dependent society. • EXHIBITION: The multi-site, international art exhibition highlights 16 contemporary artists from Latin America and the U.S. with innovative, interactive artwork. Featured artists were from Argentina, Brazil, Chile, Colombia, Mexico, Peru, New Mexico, Navajo Nation, California, Kansas and Texas. It was curated through a combined invitational and juried process, which involved a planning committee made up of leading minds from Latin America, New Mexico and the region. 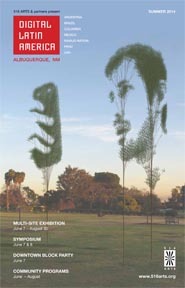 The exhibition was based at 516 ARTS with off-site artworks at UNM Art Museum and the Albuquerque Museum of Art & History. It was accompanied by an exhibition catalog published by the acclaimed Radius Books. • SYMPOSIUM: The opening weekend Symposium showcased presentations and performances in new media art that addressed the intersecting fields of art, technology and science in Latin America and the United States. The Symposium was organized by 516 ARTS and hosted by the Albuquerque Museum of Art & History. • BLOCK PARTY: The Downtown Block Party featured an array of visual and performing arts, as well as food and entertainment celebrating the arts and cultures of Latin America and New Mexico. It offered fun for all ages in Albuquerque's urban center, with performances, projections, illuminated projects, kinetic sculptures and interactive demos. 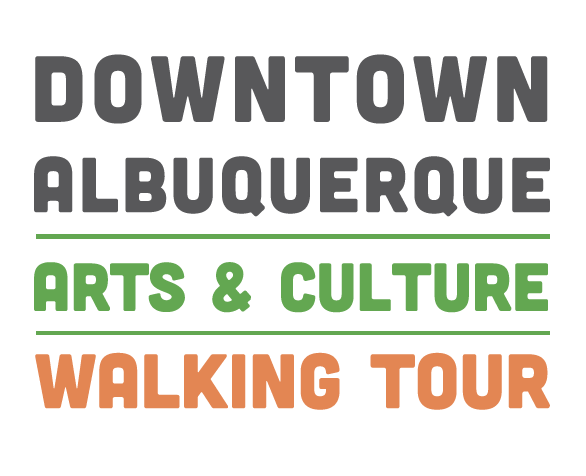 The Downtown Block Party was presented by 516 ARTS on Central Avenue between 5th and 6th Streets in Downtown Albuquerque, concurrently with the opening reception at 516 ARTS. In addition to the Opening Weekend Symposium and the Downtown Block Party, Digital Latin America programs included a STEM + Arts Education for youth produced with the National Hispanic Cultural Center (NHCC), featuring a series of school workshops and STEM + Arts related youth activities at the NHCC and 516 ARTS, as well as related community programs throughout the summer. 516 ARTS in Albuquerque and Parallel Studios in Santa Fe announced the launch of New Media New Mexico, an ongoing effort to highlight media arts in our state each summer. In June 2014, the annual New Media New Mexico began with Digital Latin America in Albuquerque presented by 516 ARTS, and CURRENTS 2014 in Santa Fe presented by Parallel Studios, along with an array of partners in both cities. read: Critical Reflection: Digital Latin America, by Diane Armitage, THE Magazine, July 2014.
read: Blog post: "Digital Art with a North/South Consciousness" by Rafael Martinez, New Mexico Mercury, July 2, 2014.
read: Huffington Post "Haiku Reviews" by Peter Frank, HuffPost Arts & Culture, September 24, 2014.
watch: 516 ARTS Digital Latin America Block Party, by Benito Aragon, New Mexico Mercury, June 6, 2014. Image (top): Javier Villegas, Herbaceous, 2012, interactive video.